AGS Bucharest attended the King’s Oak British International School’s academic year-end event on 15 June 2018, and another event at the Lycee Francais Anna de Noailles on 16 June 2018. AGS Movers Bucharest attended the King’s Oak British International School’s academic year-end event on 15 June 2018, and another event at the Lycee Francais Anna de Noailles on 16 June 2018. Both organisations are well-known international schools in Bucharest and most of the students who attend are expatriates. 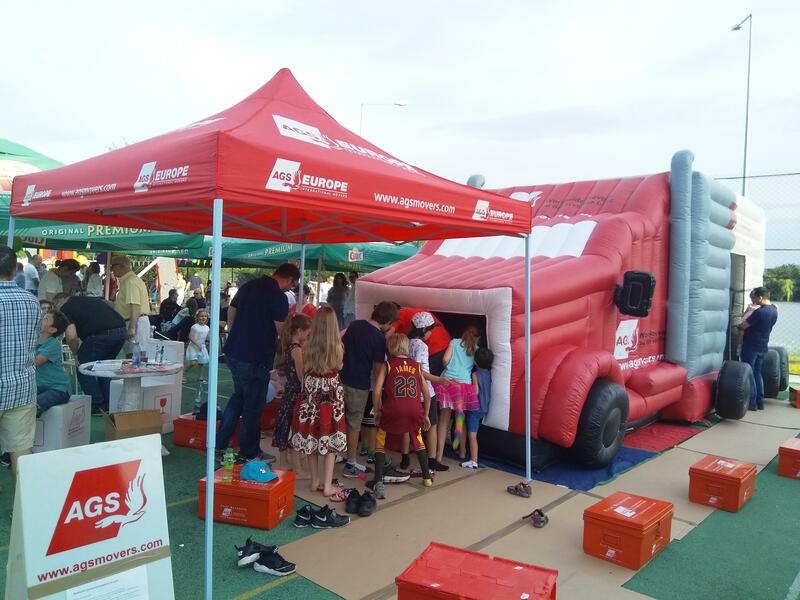 AGS Bucharest took advantage of the opportunity to dust off its inflatable AGS truck which is always a crowd-pleaser and proved to be the most successful booth, out-performing the pizza booth! AGS Movers Bucharest also used the opportunity to network with the parents and share printed materials about the services the branch offers.